Apple iPhone is one of the greatest and fantastic smartphones ever made. From the first ever iPhone smartphone released in 2007 to the latest iPhone 6s released last year, Apple has covered most of the smartphone market all around the world. The newly launched iPhone 7 is the greatest iPhone ever. It has many different specifications which almost no smartphone ever had. There has always been one positive thing about Apple’s iPhone launches is that launch happens only once a year. Apple follows a strict schedule, and as the iPhone 6s was released a year after the release of iPhone 6 in September 2015. The iPhone 7 is released this year (2016) in September, and yes, it is rich in features. The iPhone 7 finally comes without earphone jack. This is the huge change that comes in the latest model of iPhone. Like every year, Apple brings something new and awesome to the table. So, there could be many features which we or anybody outside of Apple might not have ever thought of. Let’s dig into the most advanced features and best price of iPhone 7 in UAE. When Apple moved towards the idea of having two new models of iPhone, one regular sized iPhone and the other, a larger sized Plus model, there were not too many significant differences between them. If we trust and look closely at the various pictures leaked and speculations, what happened with iPhone 6 and 6 Plus, same is case with iPhone 7 and 7 Plus. The iPhone 7 is comes with some significant differences from the iPhone 7 Plus. The Plus model has a larger camera cut out, which feature dual-camera design. The microphone and flash will move with the camera in a horizontal line. The regular iPhone 7 will not be having this feature, and it will stick with the regular camera instead. This difference and the upgrade gives iPhone 7 Plus a more of a premium look, with better camera features. The iPhone 7 and iPhone 7 Plus model Smart Connecter is probably remove because there are not many devices compatible with the port. One of the biggest changes is the 3.5mm audio jack. From now none of the newer models will feature an audio jack, which help a lot in making them thin, along with waterproof. 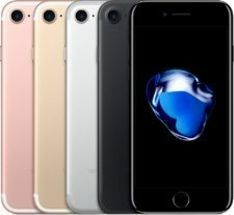 The newer iPhones 7 feature a technology, which seal the ports automatically, thus blocking water or any form of liquid from getting inside the body of the phone. It is the coolest waterproofing design till date. The Home button and the Touch ID fingerprint scanner are same as its previous models. The charging port is same in iPhone 7 and 7 Plus. The display is same with a resolution of 1334x720 with 4.7inch model. In our opinion, the display was perfect on iPhone 6 and 6 Plus, and it doesn’t require any upgrade. Apple used their new A8 processor in both iPhone 6 and iPhone 6 Plus, which was a 64-bit dual-core 1.4 GHz CPU with a PowerVR GX6450 quad-core graphics chip, supported by 2GB of RAM. It is expected that in iPhone 7 and iPhone 7 Plus, this will be upgraded a bit. 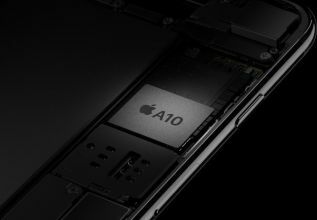 The RAM on new models is 2GB in iPhone 7 and run on a 16nm Apple A10 chipset. The storage is more than 16GB that is 32GB storage memory and maximum storage is 256GB. There is a regular camera on iPhone 7 model. It has multiple sensors, which measure the depth and speed-up autofocus. The camera scan objects in 3D, and give accurate measurements of any object. The Apple iPhone 7 remove the 3.5mm audio jack. The new iPhones 7 feature proprietary lightning one, which help in slimming down the device, along with helping in making the device waterproof. The Plus model feature a large 3100mAh battery. But the new iPhone is the thinnest of all. It has built-in rechargeable lithium‑ion battery. Its standby time is upto 10 days and with internet usage battery may last upto 13hours on 3G and upto 15hours on WiFi. Connectivity will all be the same. iPhones will feature 4G support along with all the basic iPhone 6 connectivity specs. The Apple iPhone 7 has lots of new features, and some of the old features might be going out of the design. Does the display of the Apple iPhone 7 has any kind of protection or do I need to use a screen guard? The display of the Apple iPhone is protected by an Ion-strengthened glass, oleophobic coating that makes the screen somewhat resistant to scratches However, we strongly advise that you use a tempered glass or any kind of screen guard to protect the display of the phone. Does the phone feature with a fingerprint scanner? 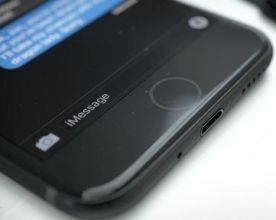 Yes, the phone does come with a fingerprint scanner, the scanner is located on the home button of the phone. Does the camera provided in the phone capable of recording slow motion videos? Yes, the camera is able to record slow motion videos. What kind of chip is used in the Apple iPhone 7? 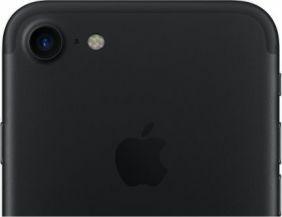 The Apple iPhone 7 features with a A10 Fusion chip with 64-bit architecture and an Embedded M10 motion coprocessor. The answer is yes, the phone does support LTE networks. Can I quick charge the Apple iPhone 7? If yes, then does the quick charger comes bundled with the phone? The phone does not support quick charging. In total how many variants are there for the Apple iPhone 7? The phone is available in three variants i.e. 32/128/256 GB. Is the Apple iPhone 7 water resistant? The Apple iPhone 7 comes with an IP67 certification, that means that the phone is dust and water resistant, however, be aware that the phone is only resistant to minor splashes of water. So, you cannot take your phone in the shower or go swimming with it. Is the battery provided in the Apple iPhone 7 removable? In how many color variants does the Apple iPhone 7 comes? And in what colors specifically? The Apple iPhone 7 comes in five color variants i.e. Rose Gold, Gold, Silver, Black and Jet Black. Does the camera of the phone has Optical Image Stabilisation? Yes, the camera does have support of Optical Image Stabilisation, along with support of Six-element lens, Quad-LED True Tone flash, Sapphire crystal lens cover and Backside illumination sensor. Does the phone has NFC support? Yes, but you can use Apple Pay only. Does the phone features with a 3.5mm earphone jack? No, Apple has not provided the slot for 3.5 mm earphone jack. Instead, they have launched Apple Airpods using which one can listen to music etc by connecting it through the phone’s bluetooth. Do the Apple Airpods come with the phone? Or they have to be purchased separately? No, the Apple Airpods do not come with the phone and they have to be purchased separately. How many types of sensors comes in the Apple iPhone 7? A total of six sensors come with the phone i.e. Fingerprint, accelerometer, gyro, proximity, compass and barometer.